This is the perfect take along to a backyard gathering. 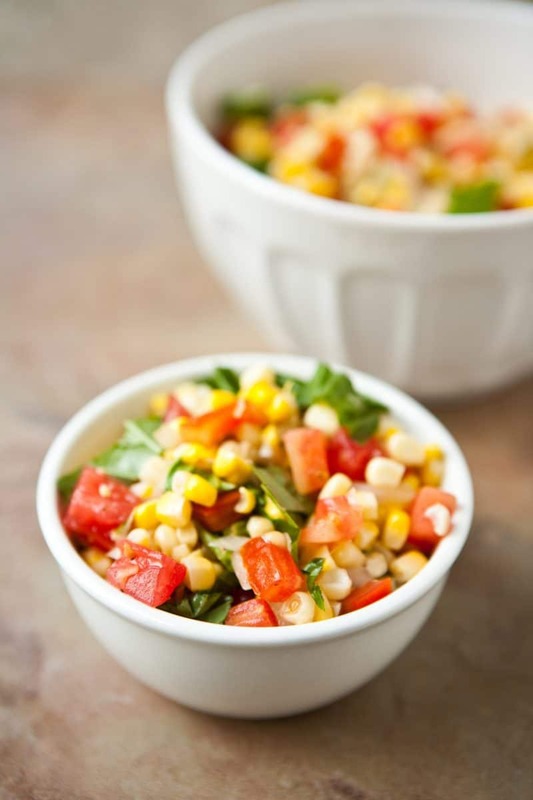 Fresh corn and sweet basil make the perfect healthy side. Heat oven to 400°F. Remove husks and silks from ears of corn. Drizzle corn with 1 tablespoon olive oil; place on ungreased cookie sheet. Bake 18 to 20 minutes or until crisp-tender. Cool until safe enough to handle. Cut corn kernels from cobs into large bowl. Add remaining ingredients. Mix well.